BestDronesForMe provides information about free advice and content about drones, reviews, FAA regulations, aerial cinematography, aerial mapping, aerial thermography and drone-buying guides. It is not BestDronesForMe’s intention to provide any legal advice, opinion, or recommendations regarding drones or the UAV industry. Rather, the Website, its services, and related content on the Website is for informational and research purposes only. If you need legal advice for a specific issue, BestDronesForMe urges you to consult with a licensed attorney. Nothing contained on the Website is intended to substitute for legal advice from a qualified, licensed attorney. Your reliance upon any information provided by BestDronesForMe, Participating Attorneys, BestDronesForMe’s employees, other appearing on the Website at an invitation by BestDronesForMe, or other visitors or users of the Website is solely at your own risk. You warrant and agree that you have the right and legal capacity to enter into this Agreement and to adhere to its terms and conditions. You warrant that you are a human individual that is eighteen (18) years of age or older. If you are under eighteen (18) years of age but at least thirteen (13) years of age, you must present this Agreement to your parent or legal guardian for their review. You warrant that you are not prohibited from assenting to this Agreement by any preexisting Agreement. You warrant and represent that any and all information that you provide to BestDronesForMe and the Website is accurate and valid. You shall be solely responsible for your own content and the consequences of submitting and publishing your content on the Website. You represent and warrant that you own or have the necessary licenses, rights, and permissions to publish content you submit to the Website. You agree to comply in good faith with the terms of this Agreement.You will not use the Website in any way that violates the rights of third parties, and you agree to comply with any and all applicable local, national, state, provincial, and international laws, treaties, and regulations. Given the global nature of the Internet, you agree to comply with all laws and rules where you reside or where you use the Website. 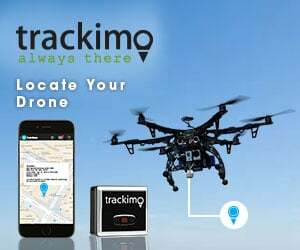 The Website is operated in the United States and BestDronesForMe makes no representation that its Website or services or products are appropriate, lawful, or available for use in other locations. This license shall automatically terminate if you violate any of these restrictions and may be terminated by BestDronesForMe at any time. Upon terminating your viewing of these materials or upon the termination of this license, you must destroy any downloaded materials in your possession whether in electronic or printed format. Excluding your content, you acknowledge and agree that BestDronesForMe is the owner of, or has rights in and to, the Website and its associated content, including but not limited to all intellectual property rights inherent therein. The Website is protected by all applicable laws, intellectual property or otherwise, and you are expressly prohibited from using the Website for any purposes not explicitly stated in this Agreement. Specifically, and except where otherwise allowed under this Agreement, you are prohibited from framing, scraping, aggregating, hacking, reverse engineering, crawling, reproducing, preparing derivative works of, distributing, performing publicly, or displaying publicly the Website, whether in whole or in part, without the prior written consent of BestDronesForMe. BestDronesForMe hereby grants you a limited, non-exclusive, non-sublicensable, royalty-free, non-assignable, and revocable license to use the Website for its customary and intended purposes. If you download software from the Website, the software, including all files and images contained in or generated by the Software, and accompanying data are deemed to be licensed to you by BestDronesForMe, for your personal, non-commercial use only. Violation of the terms of this Agreement or use of the Website for a use outside of its customary and intended purposes, such as, but not limited to downloading (other than page caching) or modifying the Website or any portion of it will result in the termination of this license. Absent prior written permission from BestDronesForMe, you are not permitted to reproduce, prepare derivative works, distribute copies, perform, display, or use for commercial purposes the Website or its content. This license is revocable at any time, and any rights not expressly granted herein are reserved to BestDronesForMe. The materials on BestDronesForMe’s web site are provided “as is”. BestDronesForMe makes no warranties, expressed or implied, and hereby disclaims and negates all other warranties, including without limitation, implied warranties or conditions of merchantability, fitness for a particular purpose, or non-infringement of intellectual property or other violation of rights. Further, BestDronesForMe does not warrant or make any representations concerning the accuracy, likely results, or reliability of the use of the materials on its Internet web site or otherwise relating to such materials or on any sites linked to this site. By creating an account and/or providing your email address, you agree that BestDronesForMe, and its designees and agents, may contact you by any available means, including, but not limited to, by email. In no event shall BestDronesForMe or its suppliers be liable for any damages (including, without limitation, damages for loss of data or profit, or due to business interruption,) arising out of the use or inability to use the materials on BestDronesForMe’s Internet site, even if BestDronesForMe or a BestDronesForMe authorized representative has been notified orally or in writing of the possibility of such damage. The materials appearing on BestDronesForMe’s web site could include technical, typographical, or photographic errors. BestDronesForMe does not warrant that any of the materials on its web site are accurate, complete, or current. BestDronesForMe may make changes to the materials contained on its web site at any time without notice. BestDronesForMe does not, however, make any commitment to update the materials. BestDronesForMe has not reviewed all of the sites linked to its Internet web site and is not responsible for the contents of any such linked site. The inclusion of any link does not imply endorsement by BestDronesForMe of the site. Use of any such linked website is at the user’s own risk. Any claim relating to BestDronesForMe’s web site shall be governed by the laws of the State of United States without regard to its conflict of law provisions.